Saturday dawned foggy and cool, but turned Minnesota Perfect after lunch: sunny and breezy in the 60s. This is the THE weekend to be outside. 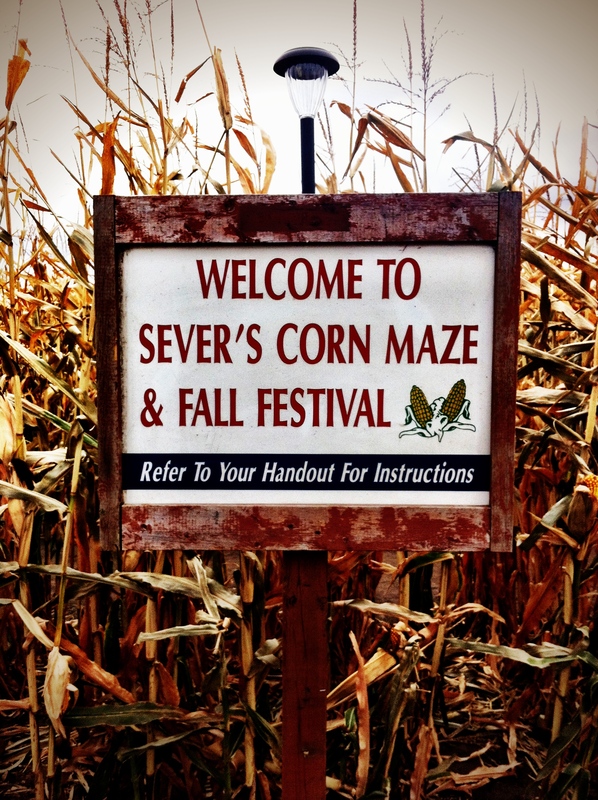 If you’re not interested in traveling far, consider a drive to Shakopee to visit the Sever’s Corn Maze. 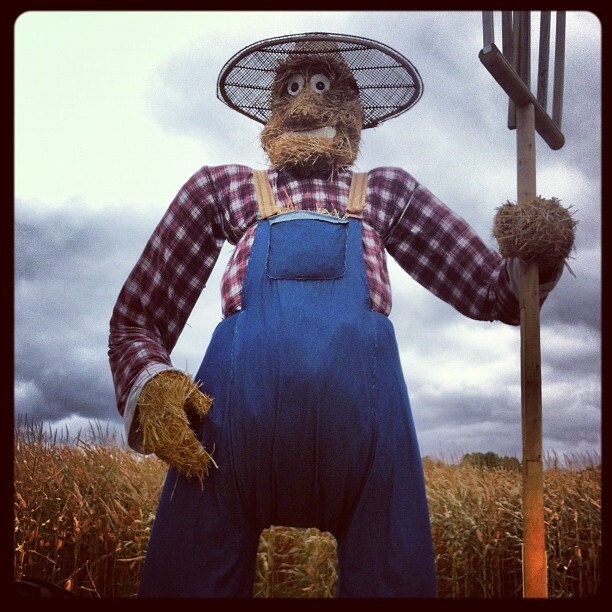 Honestly, I’d never been to one until Social Media Breakfast-MSP (#SMBMSP) invited me–unless you count the 2 days I detasseled corn one summer and got lost trying to find the bus home. Unfortunately, the day I went to Sever’s was freezing–upper 30s with a biting wind. But it was a great day to test my tech-friendly gloves from Talbot’s and take pictures free of frostbite. The Thumbs and forefingers have a special covering that works on touch screens. While I had my “big camera” with me, I had a lot of fun playing with photography apps and my smart gloves. My Canon Rebel photos can be stunning, however I can’t share them until I download them at home (which I still haven’t done). With my iPhone4, I have the native camera app, Camera+, Hipstamatic, and Instagram. I take much better photos with Camera+ than I do with Instagram. It’s not only the cool special effects and touch exposure–the photos are clearer–even without the new 99¢ Clarity function. I don’t think it’s operator error either. My method is the same with each app: Open, Aim, and Click. It’s easy to share my Camera+ photos to Twitter, Facebook, or via email to my dad, but Instagram is a social network. As soon as I snapped and shared the photo of the maze entrance (above), my friend Teresa Boardman of St. Paul Photos liked it! Plus I could look for other friends lost in the maze (or the corn pit that I somehow missed) by their photo maps and hashtags. When my fingers aren’t freezing (and I have time to kill) I take pictures with Camera+, save them to my Camera Roll and upload them to Instagram. But it’s a lot of work just to share photos with my friends. My gloves performed beautifully. In fact, I think I type more accurately with them–especially when aiming for an “o” and not an “i.” Oddly they worked better with Instagram than Camera+. I’m not sure why, though. 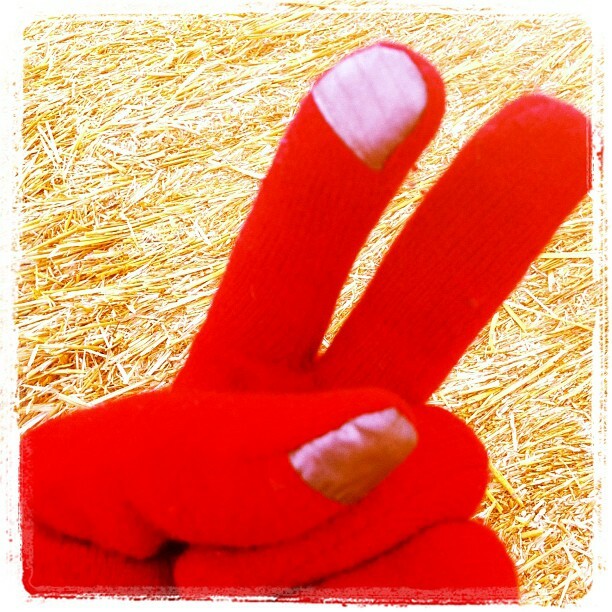 While functional and fashionable, my bright red gloves are wool and slippery, which means driving with them is dangerous. This winter I’ll have to invest in lined leather ones, so I can answer my phone in the car. 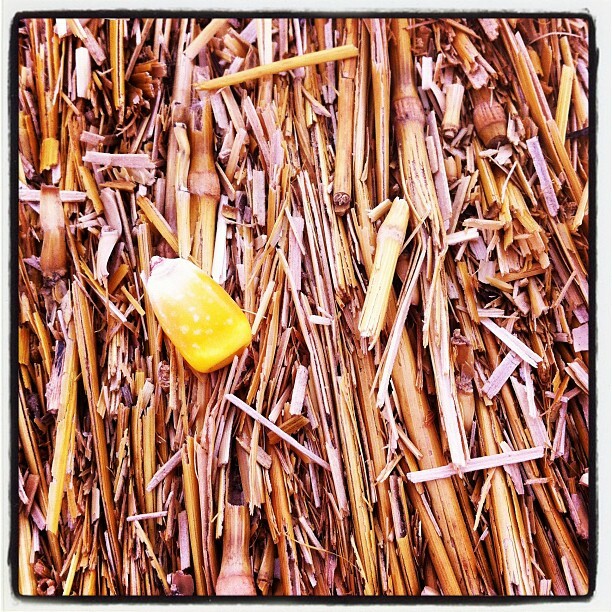 Other than Taking Pictures,What Can You Do at Sever’s Corn Maze? By the way, if you don’t automatically save your Instagram photos to your iPhone Camera Roll, read here for Mac or here for PC to learn how to download them.